Whether you are looking for a new roof for your property or if the existing one has any type of damage, A & L roofing services can provide a full range of roofing services to meet your requirements. 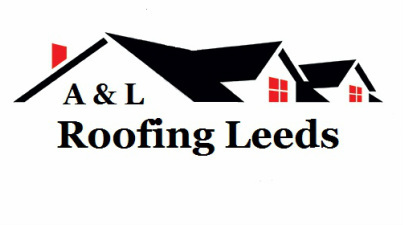 A & L roofing is a company that specialise in domestic and commercial repair and re-roof work. Once we have surveyed the property, AL Roofing will agree dates with you and stick to them as far as we possibly can, we can generally give a start date within 1 to 2 weeks max, depending on the project. The main uncertainty is the weather and naturally you will not want your roof open to any adverse weather conditions like heavy rain, high winds or even snow. We also provide the skips and the scaffolds in our prices if needed on that particular project, which is 1 or 2 less jobs for you to have to worry about. We offer many roofing-related services, including Re-Roofs, Repairs, Slating (Natural and Man-Made), Tiling (Clay or Concrete), Fascias, Soffits, Guttering(PVC/Wooden), Gutter Cleaning, Brick/Stone Pointing, Lead Work, Flat Roofs(Felting/GRP), Velux Window Supply and Installation, Chimney Removal and Non License Asbestos Removal. We also provide a 24-hour emergency call out service for severe storm damage or emergency roof leaks. Once the work has started your roof will be protected at all times. Guarantees for the roof work vary depending on the nature of the project. A Full Re-Roof is Generally 20 years. All our work is carried out by fully qualified tradesmen. Qualifications gained: NVQ 1, 2 and 3, City and Guilds and more. This is a small family run business that has in excess of 15 years experience, our aim is to provide high quality workmanship at affordable prices, therefore we will try and beat any genuine like for like quotation.